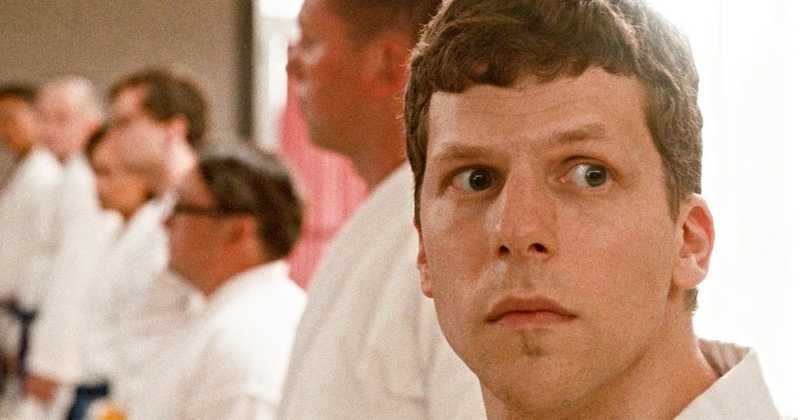 After Casey (Jesse Eisenberg) gets brutally beaten on a suburban street he decides to learn how to defend himself by taking karate classes. Writer-Director Riley Stearns has created a dark-comedy with dead-pan humour that makes for one fun ride. There are funny shocking twists that happen throughout which continue the story along, however, it really is Eisenberg who masters the Film. He’s completely committed no matter what happens in each scene and he’s in a role he seems destined to play. The Supporting Cast, including Imogen Poots and Alessandro Nivola are perfectly cast. March 14 at 10:30 PM at Alamo Lamar A, and March 15 at 7:45 PM at Stateside. In this modern epic, Kim Nguyen exposes the ruthless edge of our increasingly digital world. Cousins from New York, Vincent (Jesse Eisenberg) and Anton (Alexander Skarsgård) are players in the high-stakes game of High-Frequency Trading, where winning is measured in milliseconds. Their dream? To build a fiber-optic cable straight line between Kansas and New Jersey, making them millions. But nothing is straightforward for this flawed pair. Anton is the brains, Vincent is the hustler, and together they push each other and everyone around them to breaking point on their quixotic adventure. Constantly breathing down their necks is their old boss Eva Torres (Salma Hayek) a powerful, intoxicating and manipulative trader who will stop at nothing to come between them and beat them at their own game. To enter to win, click “like” on this Post at Mr. Will on Facebook and indicate your City. Re-Tweet this Tweet from @mrwillw for an extra chance! 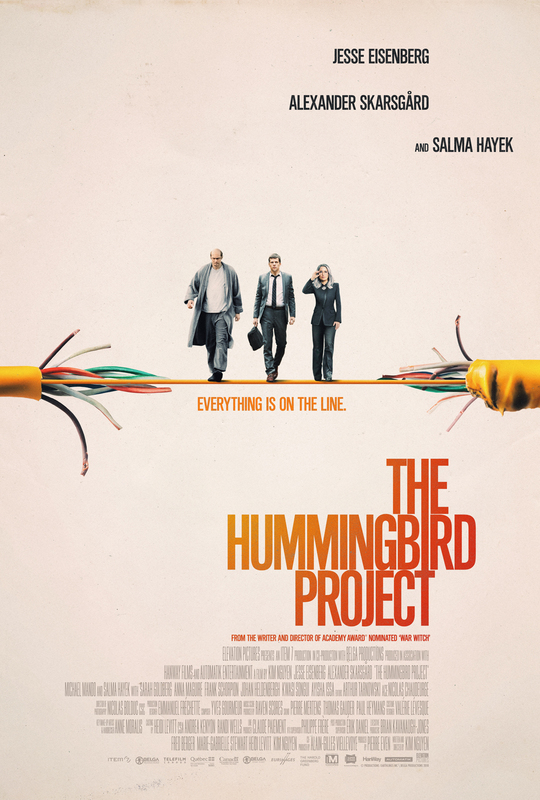 Elevation Pictures release THE HUMMINGBIRD PROJECT Friday, March 22, 2019.
eOne Films + Mr. Will want to take Readers to see the eagerly-awaited sequel, NOW YOU SEE ME 2! Screenings takes place on Wednesday, June 8, 2016 in Toronto, Ottawa, Calgary, Vancouver, Edmonton, Halifax, Nanaimo, Winnipeg and Hamilton! One lucky entrant also will win an amazing Prize Pack including a Blu-ray of the first Film in the franchise, three pairs of colour-changing sunglasses, a deck of cards and four exclusive prints from the Movie!!!! http://www.mrwillwong.com/nowyouseeme2 @MRWILLW wants us to #win Advance Passes to see #NOWYOUSEEME2! 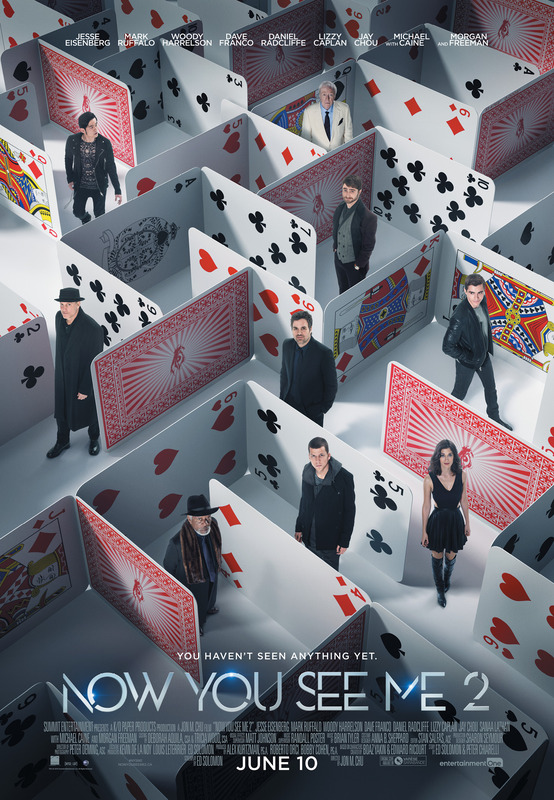 Out 6.10.
eOne Films release NOW YOU SEE ME 2 on Friday, June 10, 2016! Mr. Will + Elevation Pictures are happy to offer Readers a chance to see Kristen Stewart + Jesse Eisenberg in the hilarious and quirky AMERICAN ULTRA! All screenings take place on Wednesday, August 19, 2015 in Toronto, Vancouver, Ottawa, Halifax, Victoria, Edmonton, Winnipeg and Calgary! Some lucky Winners will also get an official AMERICAN ULTRA T-Shirt and Prize Pack! 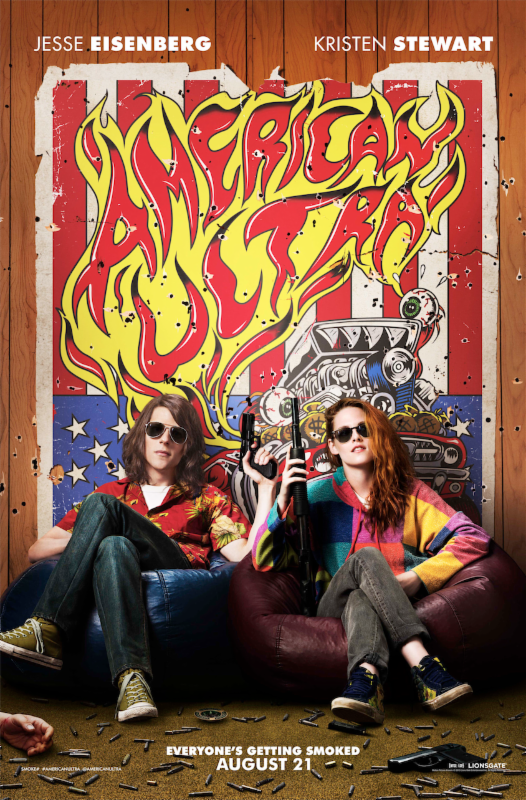 Elevation Pictures release AMERICAN ULTRA on Friday, August 21, 2015. After receiving much praise at TIFF ’13, Richard Ayoade‘s THE DOUBLE now gets a Home Entertainment release exactly one year later. D Films and Mr. Will want to give Readers across Canada a chance to win a copy on DVD! Inspired by Dostoyevsky‘s Novella of the same name, THE DOUBLE is a Dark Comedy written by Ayoade and Avi Korine (Mister Lonely), a funny and frightening story about an insignificant man driven to near breakdown by the appearance of his Doppelganger. Simon (Jesse Eisenberg) is a timid Man, scratching out an isolated existence in an indifferent world. He is overlooked at work, scorned by his Mother, and ignored by the Woman of his dreams (Mia Wasikowska). He feels powerless to change any of these things. The arrival of a new Co-worker, James (also Jesse Eisenberg), serves to upset the balance. James is both Simon‘s exact physical double and his opposite – confident, charismatic and good with women. To Simon‘s horror, James slowly starts taking over his life. To enter to win, simply click “like” on this Post at Mr. Will Wong on Facebook. D Films release THE DOUBLE on Tuesday, September 9, 2014. After receiving much praise at TIFF ’13, Richard Ayoade‘s THE DOUBLE soon will see a Canadian release and both D Films and Mr. Will want to give Readers across Canada a chance to win Run-of-Engagement Passes to see it! D Films release THE DOUBLE on Friday, June 13, 214. After receiving much praise at TIFF ’13, Richard Ayoade‘s THE DOUBLE soon will see a Canadian release and both D Films and Mr. Will want to take Toronto Readers to an Advance Screening! The Screening takes place Wednesday, June 11, 2014.
http://www.mrwillwong.com/thedouble @MRWILLW wants us to #win Advance Screening Passes to see #THEDOUBLE in #Toronto! Out 6/13! With great sadness, we must say farewell to another TIFF. And with fatigue, a limp in my right foot and great pain in my neck today after a gruelling run these past 11 days, I look back at the happy times, the regrets and what TIFF ’14 might hold. Despite all these mixed emotions, I know it won’t be long before I’m begging for more! I live for the Toronto International Film Festival – the greatest in Film Festival the World – and wouldn’t rather be anywhere else. Anyone who encountered these Stars up-close and personal during TIFF ’13 can vouch that they deserve a warm round of applause for the respect, appreciation and courtesy they’ve shown our City. Whether it be Jessica Chastain‘s consistent grace and humility towards her Fans, Brad Pitt‘s surprise Red Carpet appearance in which he took several Photos with Fans at the 12 Years a Slave Premiere, Hugh Jackman stopping in the rain outside the Press Conference for Prisoners to meet and great all his Supporters individually – these Stars understand exactly what the Festival is all about for us Fans! These six Films gained a great amount of buzz and momentum coming out of TIFF ’13 in advance of their forthcoming Awards Season Best Picture Campaigns. Sadly, August: Osage Country didn’t wind up getting critical love universally (I enjoyed it much!) hoped for, but it still remains a major Contender in the Acting categories – especially for a heartbreakingly-absent Queen Meryl Streep. These five up-and coming Stars caused quite a stir wherever they spotted around TIFF ’13. This time next year, expect to know them pretty much on a first name-basis. Although we try to keep things positive here, we remain hopeful that next time these Stars visit our City, they show us a bit more Fan Appreciation – not just only when the Cameras are on – than they showed this year. Little things like picking-up a Sharpie or taking time to pose for Photos with Fans, or maybe not distancing themselves a 15 feet from the Barricades where their Fans had queued for hours to see them, would be a first step. In all fairness, some had hyper-assertive Handlers or lateness to blame. These Stars certainly made a Statement whether it be out and about in our City or on the Red Carpet. I still cannot get over Kitsch‘s gray-on-gray Suit he wore at the Premiere of The Grand Seduction and certainly was a bit obsessed with Toni Collette‘s new Bangs. Julia Roberts was a Vision in her Dolce & Gabbana Dress at the Premiere of August: Osage County too, but my favourite look was Sandra Bullock at the Gravity Premiere in Narciso Rodriguez! 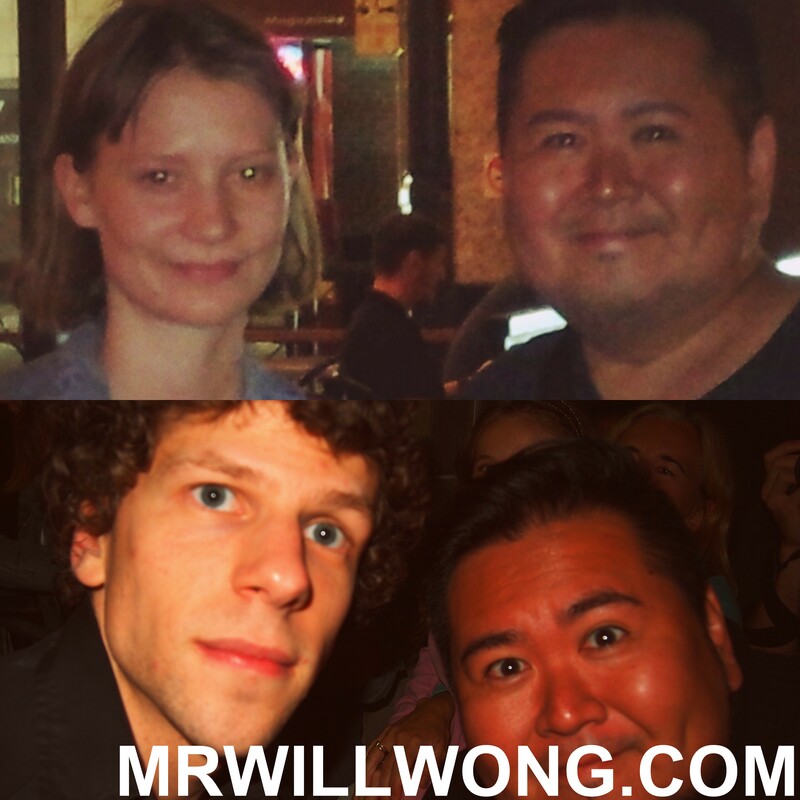 And who exactly did Mr. Will got a Photo-with at TIFF ’13? Ben Cotton, Dane Cook, Jason Reitman, Josh Brolin, Nicole Kidman, Anika Noni Rose, Bill Condon, Donnie Wahlberg, Paul Wahlberg, Jack Huston, Tom Arnold, John Torturro, Lauren Lee Smith, Sami Gayle, Mary Walsh, Saoirse Ronan, Michael C. Hall, Tye Sheridan, Katie Boland, Aaron Abrams, Kelly Rowan, Daniel Radcliffe, Taylor Schilling, Effie Exarchopoulos, Dan Stevens, Daniel Brühl, Alicia Vikander, Tom Hiddleston, deadmau5, Carice Van Houten, Tom Welling, Vanessa Paradis, Michael Bolton, Alice Cooper, Taylor Kitsch, Toni Collette, Dakota Fanning, Jai Courtney, Ciaran Hinds, Jessica Chastain, Emilia Clarke, Jared Harris, Adelaide Kane, James Lafferty, Jennifer Morrison, David Arquette, Alfre Woodard, Ryan Kwanten, Catherine O’Hara, Mark Boone Junior, Will Forte, Emma Thompson, Cara Gee, Demian Bichir, Jude Law, Tom Wilkinson, Alfonso Cuaron, Jesse Eisenberg, Emma Thompson (again! ), Lea Seydoux, Robert Baker, Amanda Walsh, Adam Driver, Keanu Reeves and Nicolas Cage. To re-visit some of the amazing names that I snapped in the City over the Festival, click here. To read some of my Reviews of the Films that premiered at TIFF ’13, click here. More Reviews to come over the next day or two as I play catch-up after all the madness. #TIFF13: STARS OUT AND ABOUT ON DAY FOUR OF THE 2013 TORONTO INTERNATIONAL FILM FESTIVAL | TONI COLLETTE, JULIA LOUIS-DREYFUS, CHRIS HEMSWORTH, LIAM HEMSWORTH, JASON SUDEIKIS, OLIVIA WILDE, TOM FELTON, DAKOTA FANNING, JESSE EISENBERG & MORE! It was an extremely hectic day of Star-gazing and Star-chasing around the City today on Day Four of TIFF ’13. Please pardon my extreme exhaustion as tonight’s Post will be simply a Photo Dump, with more details to come once I’ve caught-up on my rest. Tired is an understatement (! ), but I’m driven to give my Readers and Followers my absolute best. The day was capped-off late with a Red Carpet Afterparty for Ron Howard‘s Rush, at the Thompson Hotel. Without further a do here they are! 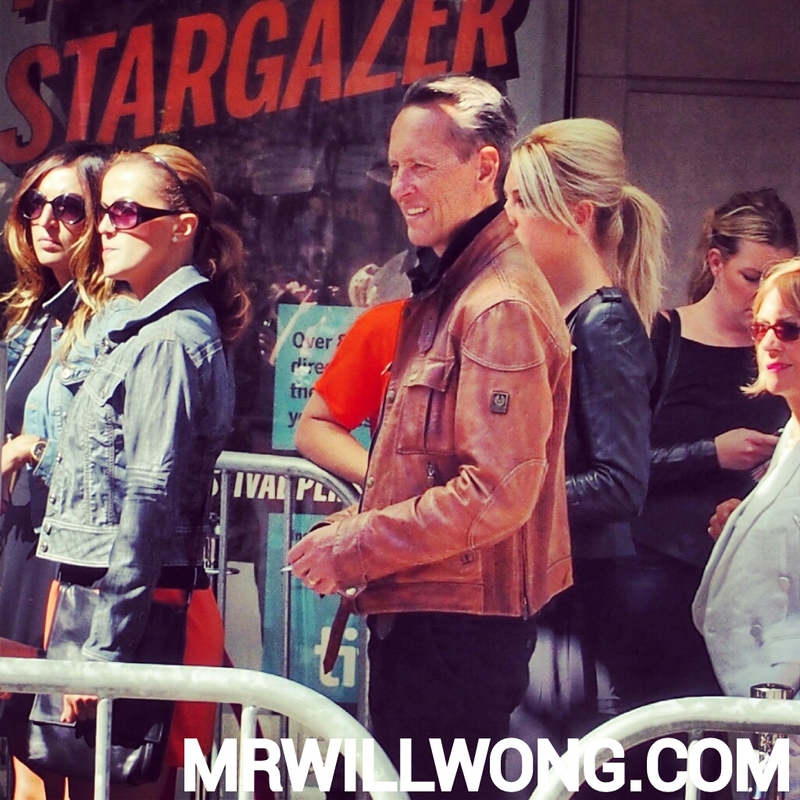 British Thespian Richard E. Grant attending the Philomena Premiere earlier today. Even Movie Stars have to go through protocol just like us, to get into TIFF Screenings as you can see! The Actor is here for his Film, Dom Hemingway. I must admit the biggest Winner at TIFF ’13 thus far are definitely Toni Collette‘s amazing Bangs. Love ’em and I am glad she’s had a change of heart of late, now taking Photos with Fans unlike in prior years! The Actress is here for Enough Said. Kim Cattrall just about surprised us all today picking-up her Buddy Don McKellar at his Hotel before they head off together to the Premiere of his latest, The Grand Seduction. Academy Award Nominee Demián Bichir at the Pre-Party for his Film Dom Hemingway, which premiered tonight at Princess of Wales Theatre. Those who aren’t familiar with him, he starred recently in the hilarious Comedy, The HEAT. Few Actresses have been as Fan-inaccessible at TIFF ’13 as Emilia Clarke, known best for her work on HBO’s Game of Thrones. 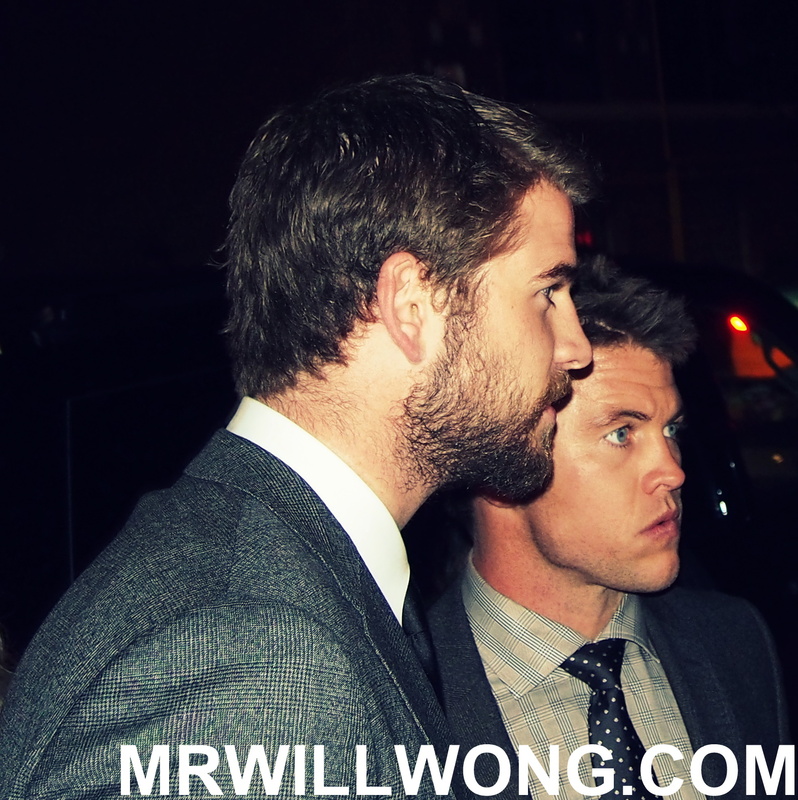 The Actress avoided Fans tonight at the Pre-Party for the Film and Afterparty also. We can at least agree that she looks stunning in Mustard Yellow! Although Twilight Director Bill Condon was here just a few days ago for the Festival, it was only a matter of time before a Dreamgirl showed up! Anika Noni Rose was amazing to Fans earlier today in Yorkville who spotted her as she head out to her Premiere for Half of a Yellow Sun! Model Madeleina Ghenea might be known for her ties to Gerard Butler in Tabloids of late but she too is building a name for herself as an Actress, starring in Dom Hemingway at TIFF ’13. Dakota Fanning easily was one of the People I must looked forward to seeing at TIFF ’13 and my how she’s grown! The Actress looked beautiful in a two-piece shimmery Ensemble. I may have even gotten a Photo with her at the Ryerson Theatre Premiere of Night Moves! 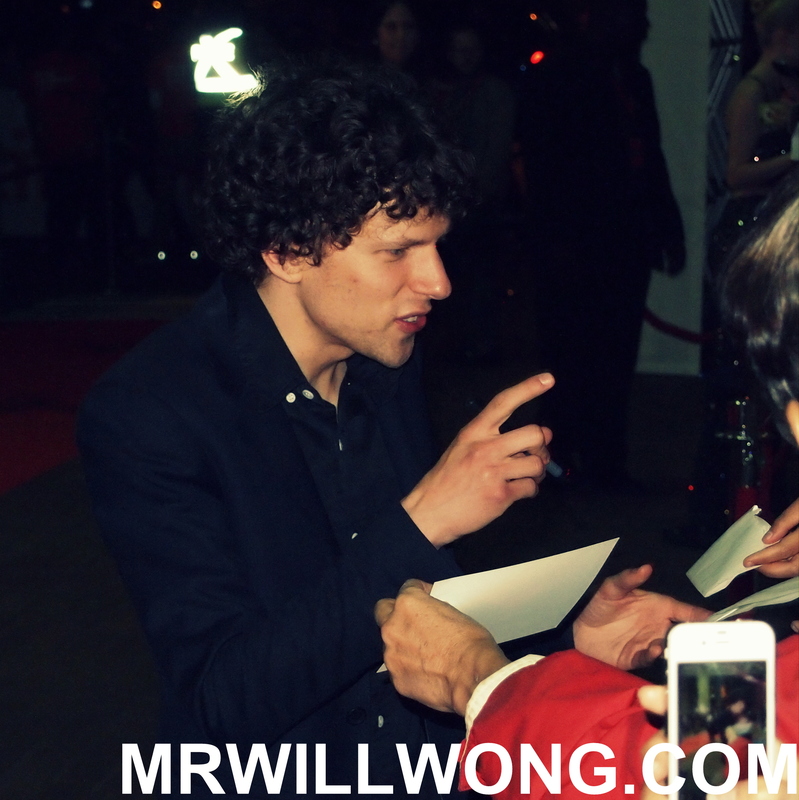 Jesse Eisenberg was amazing with Fans at the Ryerson Theatre Red Carpet Premiere of Night Moves. The Actor was in Toronto not too long ago visiting Girlfriend Mia Wasikowska who filmed here this Summer. Chris Hemsworth and Wife Elsa Pataky arrived together at tonight’s Rush Premiere at Roy Thomson Hall and Afterparty, both looking impeccable. Olivia Wilde and Jason Sudeikis are just perfect for one another and their chemistry was full on display as they gazed into each other’s eyes at the Red Carpet for the Rush Official Afterparty. Harry Potter Star Tom Felton, in-town for his Film Therese, also showed-up to one of the hottest Tickets in Toronto tonight, the Premiere for Rush. Rush Star Daniel Bruhl and the real Niki Lauda, Formula 1 Champion, even showed-up and walked tonight’s Red Carpet together! And of course the Afterparty for Rush wouldn’t be complete with a mention of the legendary Ron Howard! Just as I am about to doze off over my Laptop… Stay tuned for more tomorrow!